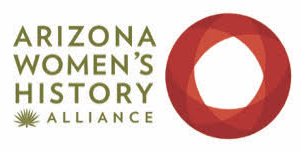 Our primary goal is to aid in the expansion of Arizona women’s history including research and writing and in increasing public awareness of the experiences and contributions Arizona women from all walks of life and representing our rich and diversified cultural, social, economic and political history have made to the development of Arizona and to the nation. Retired as the State Archivist and Director of the Arizona State Archives in 2016. Melanie has served as President of the Southwest Oral History Association, the Coordinating Committee for History in Arizona, the Conference of Inter-Mountain Archivists, the Arizona Women’s Hall of Fame, and as Deputy Coordinator of the Arizona Historical Records Advisory Board. She also served as a Board member of the Council of State Archivists and the National Association of Government Records Archivists and Administrators. She presently serves on the Boards of the Arizona Women’s Hall of Fame, the Central Chapter of the Arizona Historical Society, the Arizona History Convention, the Arizona Archives Alliance, the Coordinating Committee for History in Arizona and the Arizona Historical Records Advisory Board. Joan’s women’s history activities include chairing and later co-chairing the national suffrage statue campaign returning the only suffrage monument to Capitol Rotunda, and President, National Suffrage 75th Anniversary three day commemoration in Washington DC. She has co-founded the National Women’s History Museum, National Collaborative for Women’s History Sites, The Arizona Women’s Heritage Trail and the Arizona Women’s History Alliance where she serves as Vice President and board member. Dr. Ted Hale serves as the Director of the Arizona State Archives and Records Management, a branch of the Arizona State Library, Archives and Public Records. Ted coordinates and reviews policies, procedures and personnel. He upholds Best Practices to ensure the State Archives mission to ‘collect, preserve and make available permanent public records in all formats’ continues to serve all Arizonans. Ted coordinates the public records lifecycle throughout Arizona state and local government, including public bodies, schools, municipalities, cities, towns, police and fire districts. Other duties include maintaining record retention schedules and standards; providing guidance, consulting services, preservation imaging services, and coordinating the records storage warehouses and secure vault services. Carrie Gustavson grew up learning about other cultures and people around the world through the United Nations IAEA program. Her first career as an archaeologist, she received her advanced degrees from UCLA/University of California, Berkeley and the University of Toronto. 25 years ago, Carrie returned to the United States and completed her degree in Museum Studies at Arizona State University. As the Director of the Bisbee Mining & Historical Museum, Carrie led the Bisbee Mining & Historical Museum to state and national recognition for museum excellence and award-winning interactive exhibitory. Under Carrie’s leadership, the Museum became the first rural affiliate nationwide of the Smithsonian Institution’s Affiliation Program. In 2016, the Museum was nominated by Representative McSally for the 2017 National Medal for Museum Service. Gloria Holguín Cuádraz is an Associate Professor of Sociology in the School of Humanities, Arts, and Cultural Studies at Arizona State University. She publishes in the areas of Chicana/os and higher education, theory and methods of oral history, Arizona Chicana/o labor history, feminist methods and testimonio. She is co-editor, with Dr. Yolanda Flores, of Claiming Home, Shaping Community: Testimonios de Los Valles (Tucson: University of Arizona Press, 2017). With Dr. Luis Plascencia, she is co-editor of a forthcoming anthology, Mexican Workers and the Making of Arizona (Tucson: University of Arizona Press). She is a member of the Latina Feminist Group, co-authors of Telling to Live: Latina Feminist Testimonios, (Duke University Press, 2001). In 2013, she was awarded the Dan Shilling Public Humanities Scholar of the Year Award by the Arizona Humanities Council. From 2014-2017, she was Co-Lead Editor of Chicana/Latina Studies: The Journal of Mujeres Activas en Letras y Cambio Social. Kolleen Fisher has a keen interest in women’s history and their role in the world. Teaching others and sharing inspirational stories from courageous women help others find meaning, hope, and inspiration. Kolleen graduated from Loyola University, Chicago with a Masters of Education, Adult and Corporate Instructional Management. Kolleen worked in the field of instructional design and performance improvement in the private and government sector. She retired in 2014 from the National Emergency Training Center’s Emergency Management Institute as a National Training Cadre Manager for the Federal Emergency Management Agency. She is currently working with women organizations and non-profit organizations. Catherine L. May, Research Historian. Catherine is retired from a 23-year career at SRP where she worked as an archivist, researcher, and writer. She has served multiple history and history-related organizations over the years, particularly in the State of Arizona. She is currently completing her dissertation on the work of faith communities in the Mexico/USA border region. Mary Melcher, Ph.D. retired in 2017 after a long career in public history. She has worked for the Arizona Historical Society in Tempe and the Sharlot Hall Museum in Prescott, as well as acting as a contractor for numerous public history projects. She also was the historian for the Arizona Women’s Heritage Trail and is the author of Pregnancy, Motherhood, and Choice in Twentieth-Century Arizona, published by the University of Arizona Press, 2012. Dr. Anna Ochoa O’Leary, an associate professor and Head of the Department of Mexican American Studies at the University of Arizona, received her doctorate in Anthropology from University of Arizona. Since 2002, she has taught a range of classes for the Department. Currently, she teaches two graduate classes, Mexican Migration, the Feminization of Migration, and an undergraduate class, Latin American Migration and the Remaking of the U.S.
She has a Chicano Studies text book to her credit, which was published in 2007 by Kendall Hunt Publishing. More recently, she co-edited Uncharter”ed Terrain: New Directions in Border Research Method and Ethics (University of Arizona Press, 2013), and is editor of Undocumented Immigrants in the United States Today: An Encyclopedia of their Experiences (ABC-CLIO/Greenwood Press, 2014). Dr. O’Leary is a 2006-2007 Fulbright Scholar for research on repatriated migrant women, and Public Voices “Thought Leader” Fellow for 2014-2015. Her current research and teaching interests continue to focus on the education, culture and urban politics of Mexican/U.S. Mexican populations, the political economy of the U.S. – Mexico border, and gender issues. Jodi Silvio is a Historical Analyst with Salt River Project’s Research Archives. She completed her Master’s Degree in history at Arizona State University, with a concentration in public history.